Causes of abdominal pain can be very different: from simple ailments to serious problems requiring surgery. If the pain is there for the first time, you need to seek medical help. 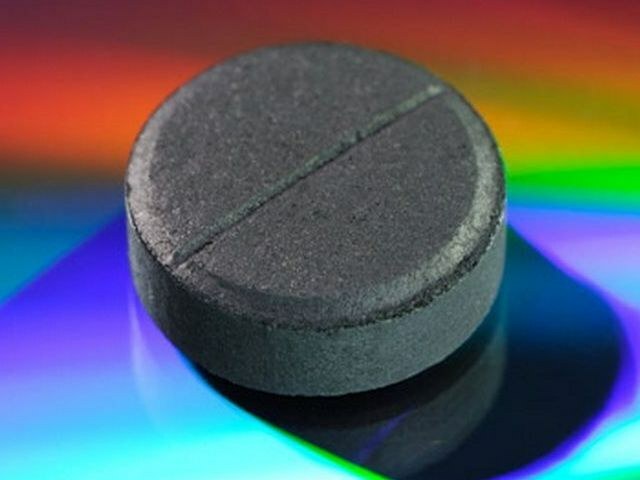 If symptoms of pain are familiar, and their cause is known (e.g., flatulence, diarrhea), it is possible to self-medicate, for example, to make activated carbon. Pain, discomfort in the stomach, accompanied by flatulence, intestinal disorders often appear in people who are overweight because they have bad intestines. The bowel function also deteriorates when the sedentary lifestyle, lack of coarse fibers in the diet. Bloating accompanied by diarrhea, constipation, painful spasms appears in the irritable bowel syndrome. For the treatment of various types of intestinal disorders justified the use of activated charcoal. It enterosorbiruyuschee means absorb from the digestive tract and removes pathogenic components: toxins, decomposition products of microorganisms. Activated charcoal prevents the excessive secretion of mucus and gastric juice, stops the processes of putrefaction and fermentation in the gastrointestinal tract. All of these processes occur only in the digestive tract, absorption into the blood does not, therefore activated charcoal can be taken even by pregnant women in the abdominal pain caused by dyspeptic disorders. In this case, it may become the drug of first aid. Activated charcoal takeif abdominal pain accompanied with flatulence, diarrhea. The drug need to drink 1-2 hours before meal or other drugs. The daily amount of the activated angle on average is 100-200 mg/kg divided into three doses. When abdominal pain caused by flatulence, dyspeptic disorders activated charcoal administered 1-2 grams three to four times daily for 3-7 days. Drug treatment can last up to 14 days. Under the processes of fermentation and rotting food in the gut activated charcoal take within one to two weeks. Pregnant women are usually prescribed up to four tablets means up to three times a day. You cannot use activated charcoal during pregnancy on their own, especially in case of poisoning. It is not recommended to drink activated charcoal in the stomach pain caused by ulcers, bleeding from the gastrointestinal tract. The drug can lead to poor absorption of nutrients, deficiencies. Can appear constipation, diarrhea, vomiting. If after treatment with activated charcoal diarrhea still does not stop and continues for more than a day, she is joined by vomiting, fever, severe abdominal pain, an urgent need to call a doctor, as these symptoms may indicate serious disease. In this case, you cannot take painkillers. Activated carbon is a porous substance derived from organic carbonaceous materials: wood and coke coal, coal and petroleum coke, and others. In medicine it is used as enterosorbent. Due to the large number of pores, activated carbon has a high adsorption. Ingesting it has enterosorbiruyuschee, antidiarrheal and detoxifying action. Charcoal absorbs toxins and poisons from the gastrointestinal tract, heavy metal salts, gases and other substances. Note that the activated carbon adsorbs not only harmful, but also nutrients, so it is prolonged and uncontrolled use can cause lack of vitamins and minerals. In case of poisoning with poor-quality food can make gastric lavage aqueous suspension of activated charcoal. It is important to create the excess carbon to avoid reabsorbtsii – selling release of toxins, possible with a lack of sorbent. After gastric lavage need to take the pill for bowel cleansing: for every 10 kg of body weight recommended 0.25 mg (1 tablet) of coal. 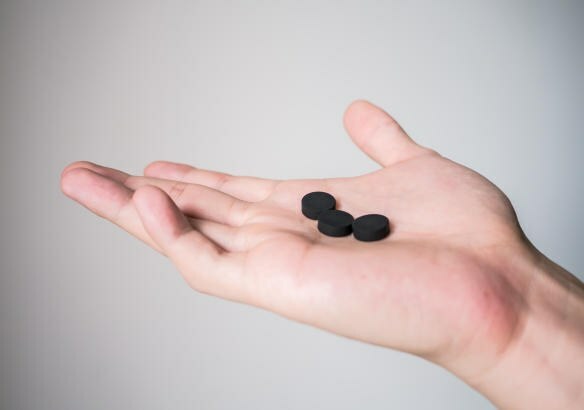 Activated charcoal can help not only in case of poisoning, diarrhea and flatulence, but also for the relief of withdrawal syndrome and allergic reactions. To prepare the slurry of coal, it is necessary to take 1 tablespoon of crushed tablets or finished coal powder and dilute them in a liter of water. In severe cases, it is possible to increase the concentration of suspended matter, taking 10-15 grams of charcoal per 100 ml of water. The recommended daily allowance of the drug for an adult is 6 to 12 g, and the maximum – 20-30 g, the Daily dose should be divided into several stages. The activated carbon should be separate from the other medicines, after a period of time at least an hour and a half, since the adsorbent can partially absorb medications and reduce their effectiveness. This is especially true of oral contraceptives, antidepressants, sedatives, hypnotics, MAO inhibitors. Activated charcoal is contraindicated in ulcerative lesions of the gastrointestinal tract, bleeding in gastrointestinal tract, intestinal atony. Take activated charcoal pills are not only ineffective, but harmful. It has no effect on metabolic processes in the body, but removes from the bowel the vitamins, amino acids and other important items. In addition, the abuse of coal it starts to act like a toxin causing nausea, vomiting and gastrointestinal disorders.